Braised red cabbage has a very unique sweet and sour, almost tangy, taste. Not everyone likes it (Tobias doesn’t), but for me, it’s a delicacy. I only ever make it in December, but it’s something I look forward to all year. I usually make a large batch about a week before Christmas and store it in mason jars in the fridge. If you have good air-tight containers, the cabbage with easily keep until New Year’s Eve because the vinegar is a great preservative. You can also freeze it and reheat it in the microwave, but it will get a bit mushy if you do. 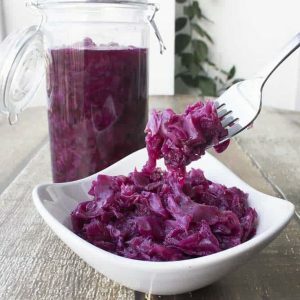 My only deviation from the standard braised red cabbage recipe is that I use Stevia instead of sugar to get the calories down a bit. There is a lot of sugar in the redcurrant jelly, so I don’t feel like I need to add more, but a bit of sweetener is necessary to balance the acidity of the vinegar. This recipe doesn’t have quite as good macronutrients as the recipes we usually post here on Diabetes Strong (it’s a little high on sugar), but all the ingredients are clean and healthy and you are only supposed to eat a little bit as a side to your meat, so I wanted to post it anyways. It’s Christmas after all. 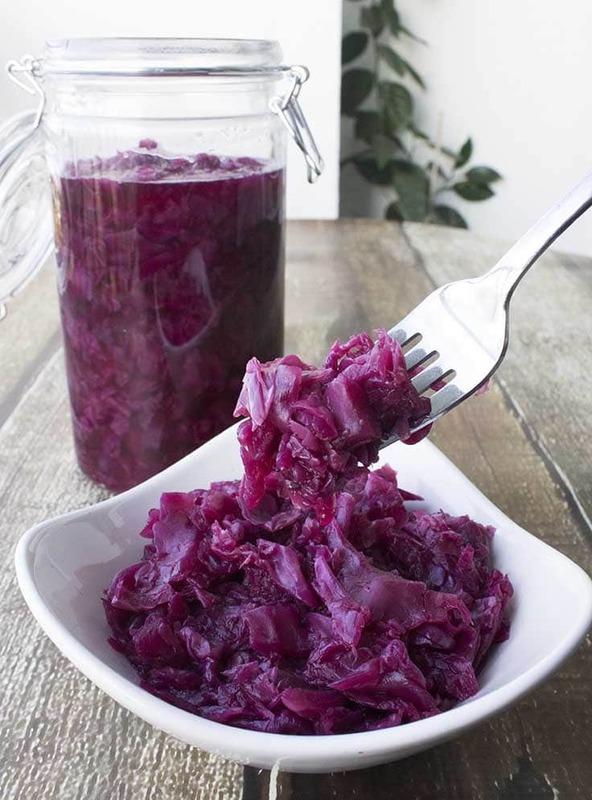 Braised Red Cabbage is one of the most traditional Danish Christmas foods. It has a very unique sweet and sour, almost tangy, taste that I absolutely love.